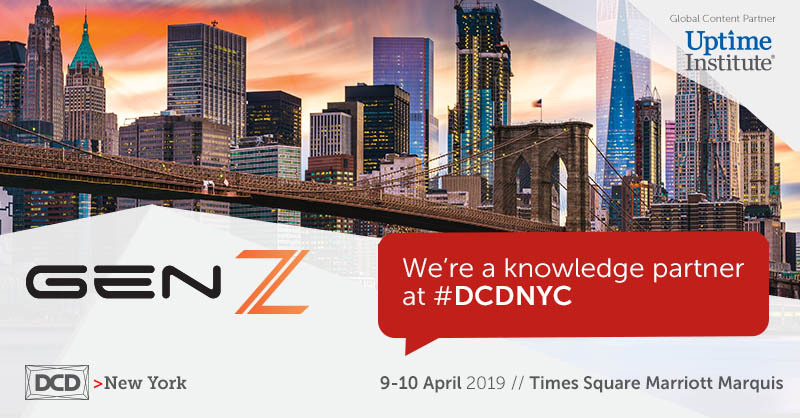 The Gen-Z Consortium is traveling to the Big Apple next month for DCD New York 2019. This is Gen-Z’s first appearance at the event, which take place April 9-10 at the New York Marriott Marquis. We are eager to participate as a Knowledge Partner and engage with DCD attendees to share the benefits of Gen-Z in the data center and cloud infrastructure ecosystem. Presented by Datacenter Dynamics Magazine, DCD New York connects enterprises with cloud infrastructure in the world’s largest data center market. Key themes of the 2019 NYC event include digital transformation and the data center edge, energy smart infrastructure, modernization and lifecycle management, planning for hybrid IT, the business of the data center, and the AI-ready marketplace. The event attracts over 1,500 attendees, 80 speakers and 50 sponsors and exhibitors. Read more on the conference website. Gen-Z Consortium President Kurtis Bowman will be speaking on the Innovation Stage on Tuesday, April 9 at 1:45 p.m. His presentation, “Changing the Game with Gen-Z,” highlights how new interconnect technologies, like Gen-Z, will enable businesses to accelerate workloads and achieve greater success. Attendees will learn about some common challenges facing enterprise computing and the new, innovative solutions Gen-Z provides. We also hope you’ll visit the Gen-Z Consortium booth (#33) and meet with representatives who will share new demonstration models and technology information. Gen-Z was also mentioned in a recent DCD article as a technology that is vital to the trend toward exascale computing. We’re excited to participate in an environment that shows strong support around the potential of Gen-Z technology. We look forward to meeting with you at the conference and sharing the Gen-Z story! To schedule a meeting with a Gen-Z representative during the show, complete this online form.